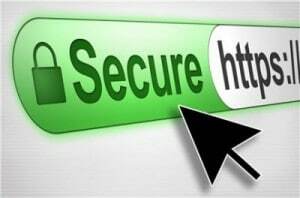 The choice of SSL certificate depends precisely on which services need to be secured and authenticated, together with the technical and application environment in which the certificate will be deployed. The factors used to select an SSL certificate are linked to the services need to be secured and authenticated, together with the technical and application environment in which the certificate will be deployed. It is crucial to fully analyze your needs, objectives sought, and the technical environment in which the certificate will be installed according to these significant constraints. All of these elements will be instrumental in putting together a request to submit to the chosen certification authority. When you have established the prerequisites, we can offer you SSL certificates to cover the services you wish to secure and authenticate. We can then submit your request to the certification authority. On what type of website do you wish to set up a secure and authenticated https connection? Is it an e-commerce site, information, statistics etc.? Will the certificate secure a single domain (www. )domain.com or several websites linked to the sub-domains of one primary domain (*.domain.com) ? In the latter case, opt for a Wildcard or multiple site certificate. What type of data do you wish to secure (login information, medical data, forms etc.) ? Which authority should I choose? Does the certificate need to be issued by a well-known authority, or is the concept of a trusted third party not crucial?